Here is a quick photo tour of the original Emporium Pennsylvania plant during the years 1945-1946. 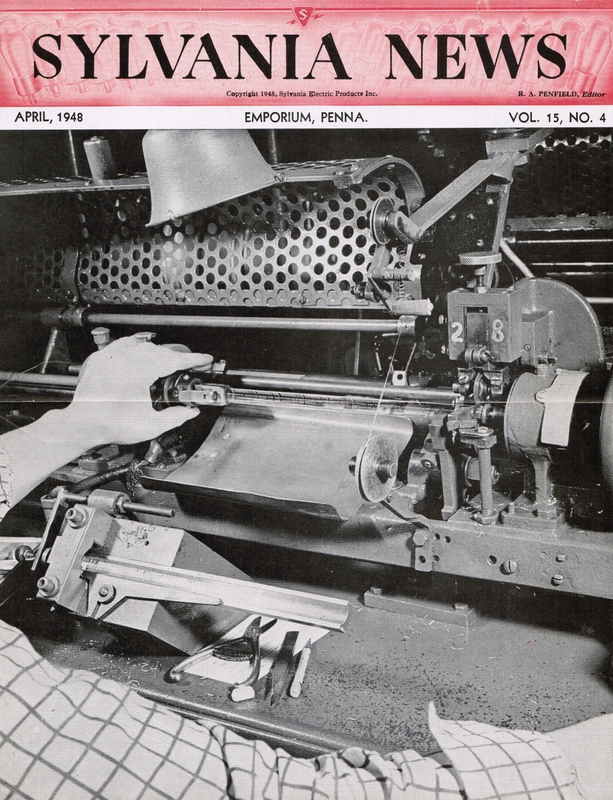 The most skilled men & woman worked with some of the finest tube manufacturing machinery ever made! 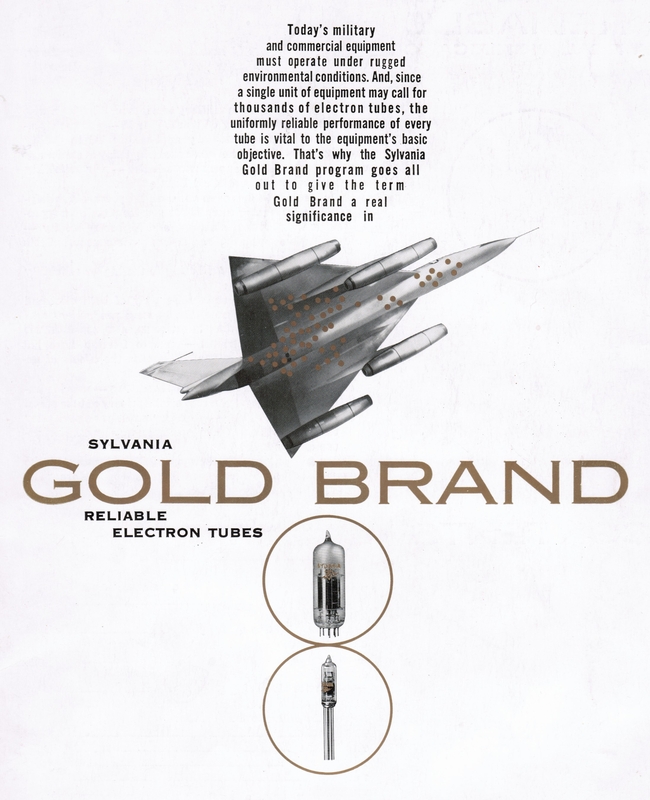 We are still enjoying the tubes they made so long ago and like a master artist (Stradivarius or Picasso & their art), the true greatness of these tubes just keeps coming on as the years go by. 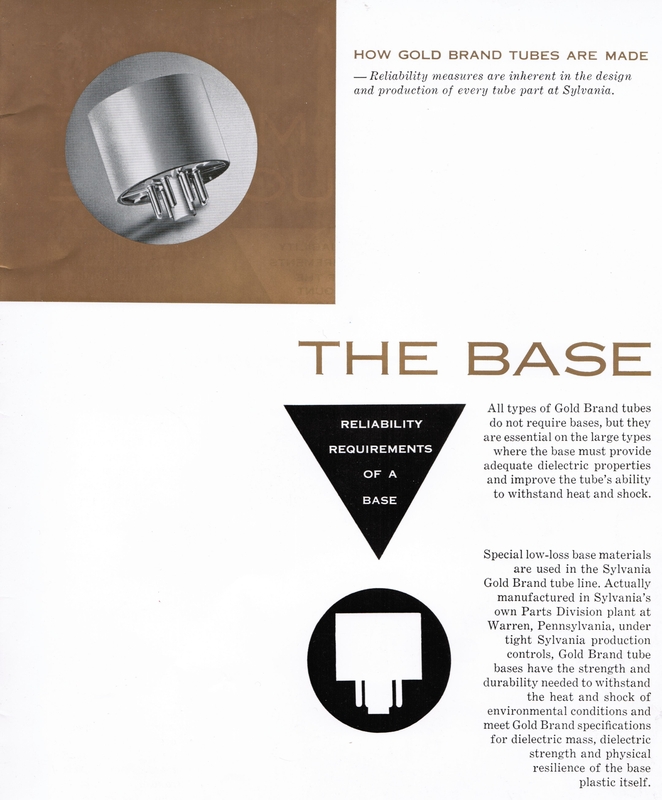 (and the quality of most modern tubes goes from bad to worse!) 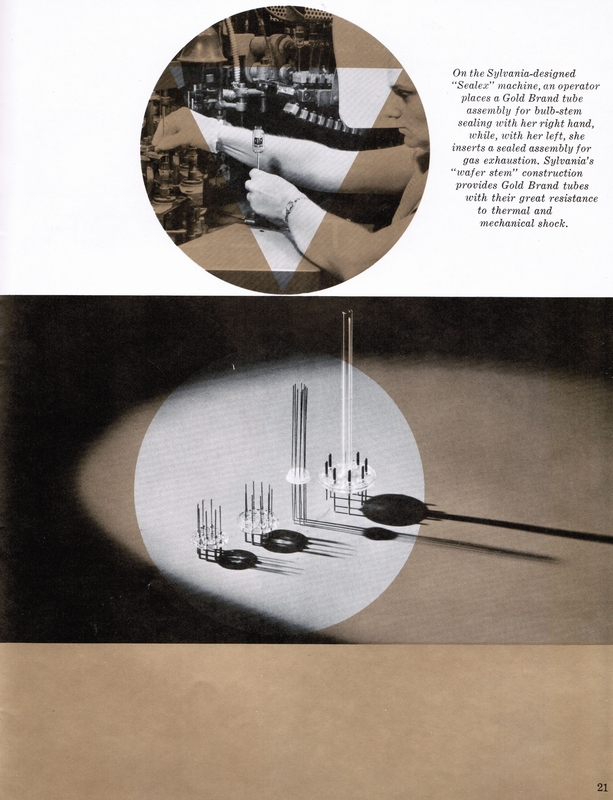 The final two shots were taken in the Standards & Calibration Department and are a rare and intimate look into the foundations of this company. 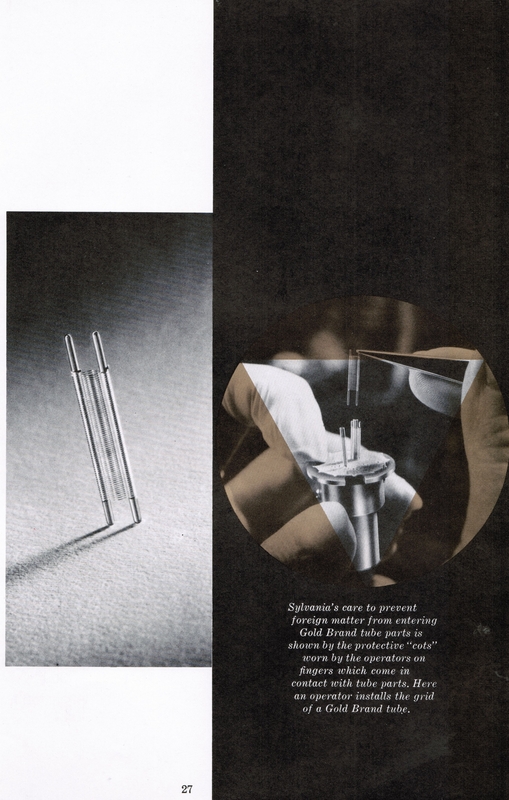 SKILLED HANDS AND SHARP EYES work together in the assembly of a Sylvania miniature receiving tube. The utmost care is necessary in this stage of the processing to ensure that the tubes will give long, uninterrupted service to the customer. The mount assembly shown here is for a miniature r-f pentode. 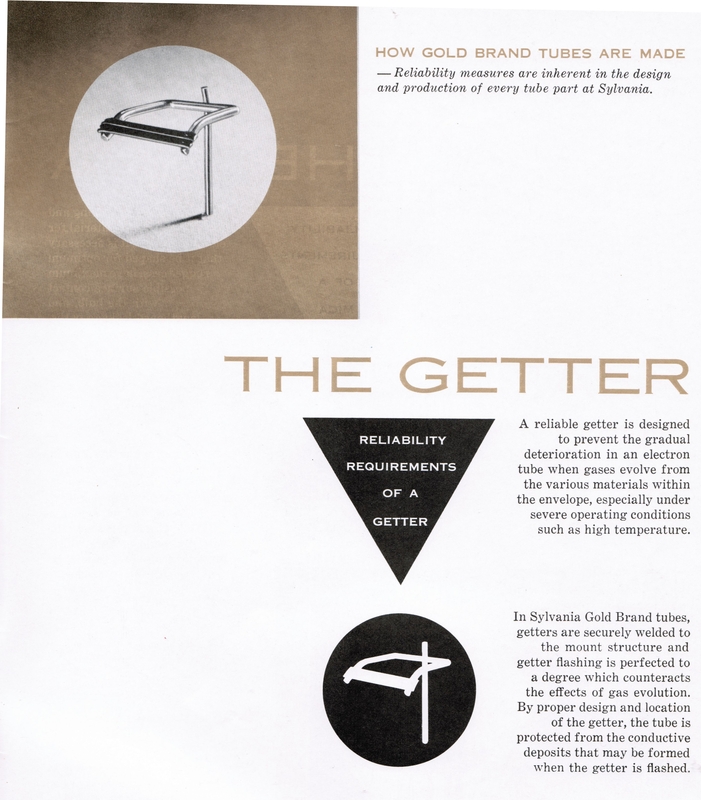 From left to right are shown the suppressor grid, the plate, and the shield being placed in position. 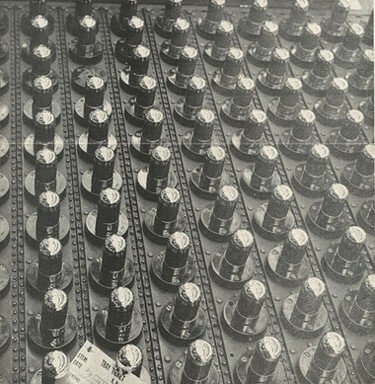 The cathode in the center, the control grid, the screen grid, and the bottom mica had previously been assembled on the mounting jig. 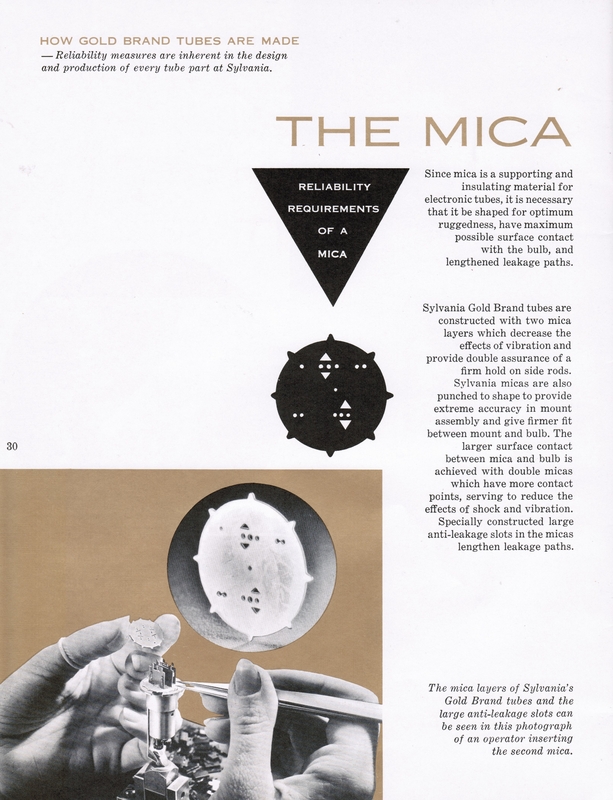 After all the elements are in place, a second mica is placed over the top and the plate and shield tabs extending through the mica are bent over. 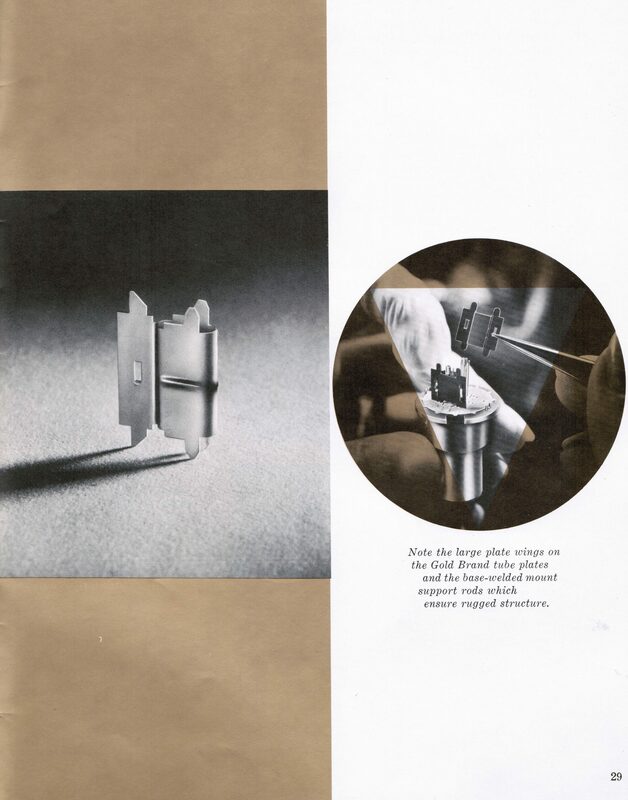 At various stages of the assembly operation the parts are inspected with a magnifying glass to make certain of correct fit and that the parts remain undamaged. 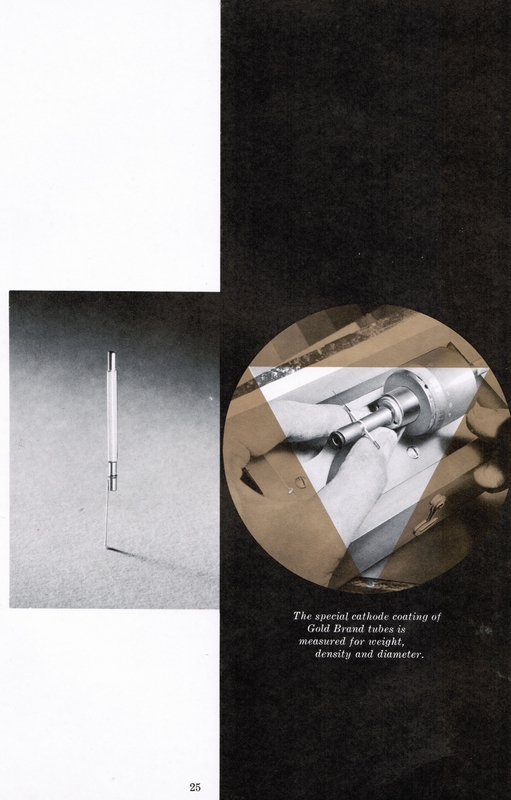 The complete mount assembly is later spot welded to the lead wire of the stem which forms the base of the tube. This is but one of the many steps in the manufacture of Sylvania radio and television tubes. 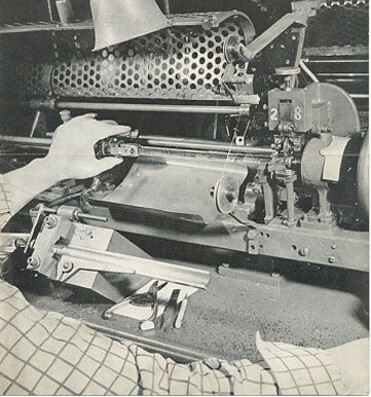 Sylvania Production Line – Welding of a Cage Assembly. 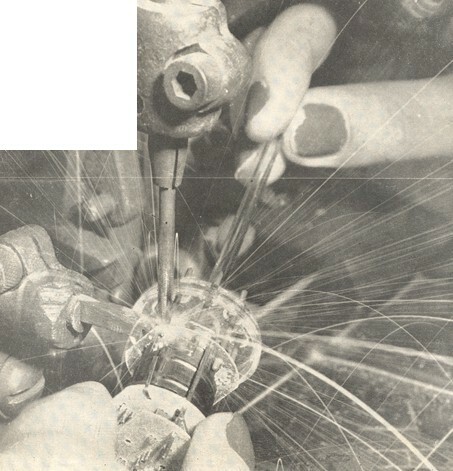 Here is a great action shot of a cage assembly being welded on to the button base of a mini tube. The tubes next stop is the Sealex machine. 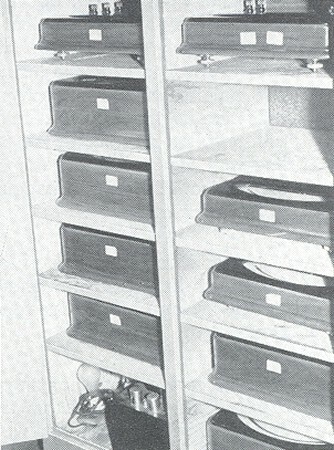 Sylvania Production Line – Microphonics Testing. 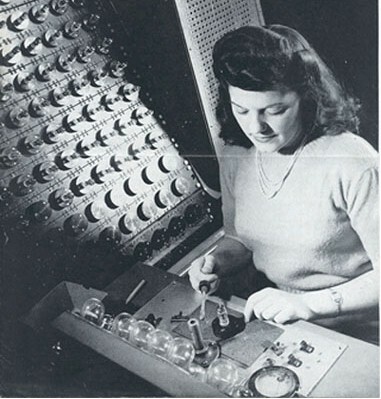 Here we see a Sylvania employee testing a mini tube for microphonics. 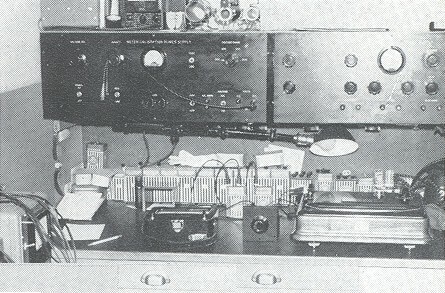 Sylvania Production Line – Activation & Stabilization Rack. Here we see high quality, finished tubes in the activation & stabilization rack. 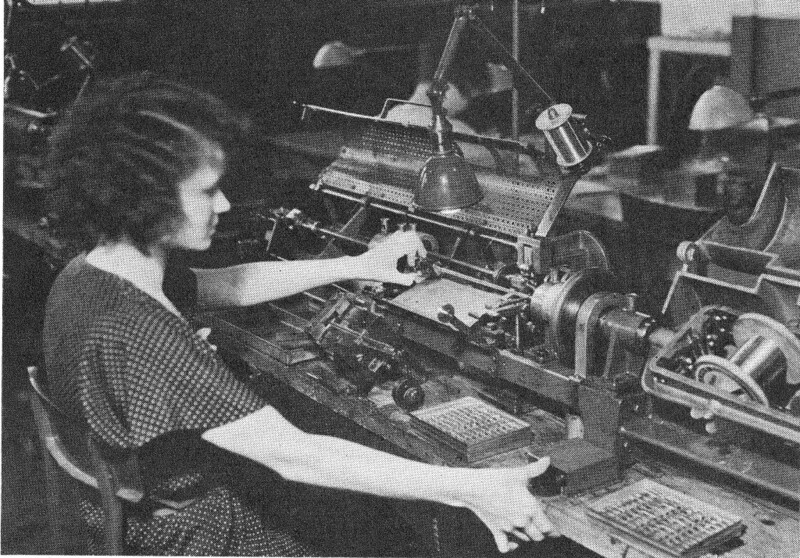 Sylvania Production Line – Weston & Sensitive Research Laboratory Standards. 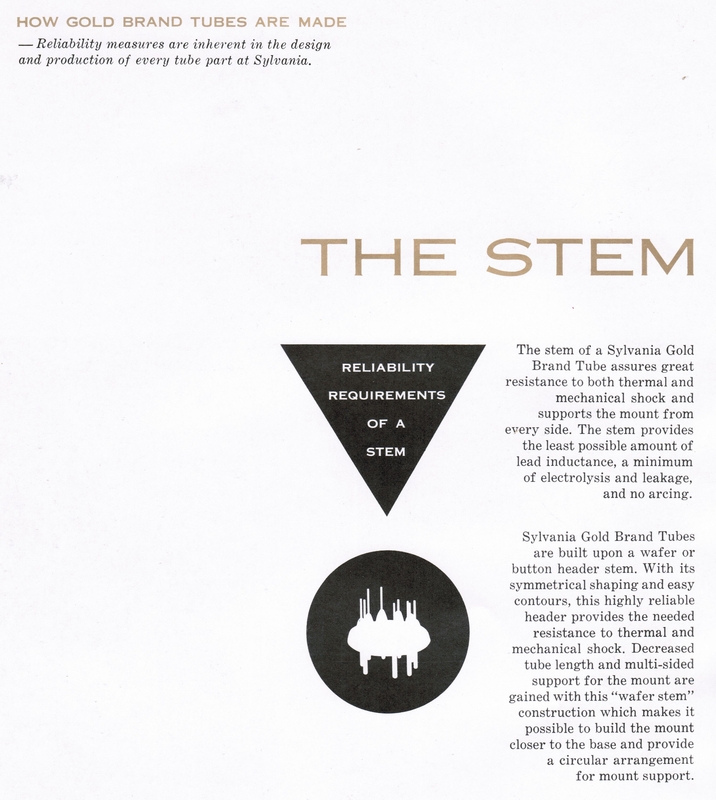 Here are several of the Weston & Sensitive – Research laboratory standards that were used to keep Sylvania on the bedrock. 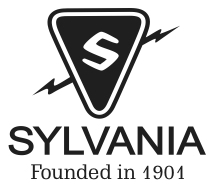 Sylvania Production Line – Sensitive Research Lab Standard Used For Calibration. 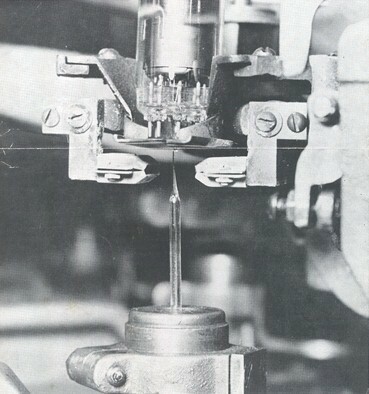 Here a Sensitive – Research lab standard is being used to calibrate a D.C. millimeter. 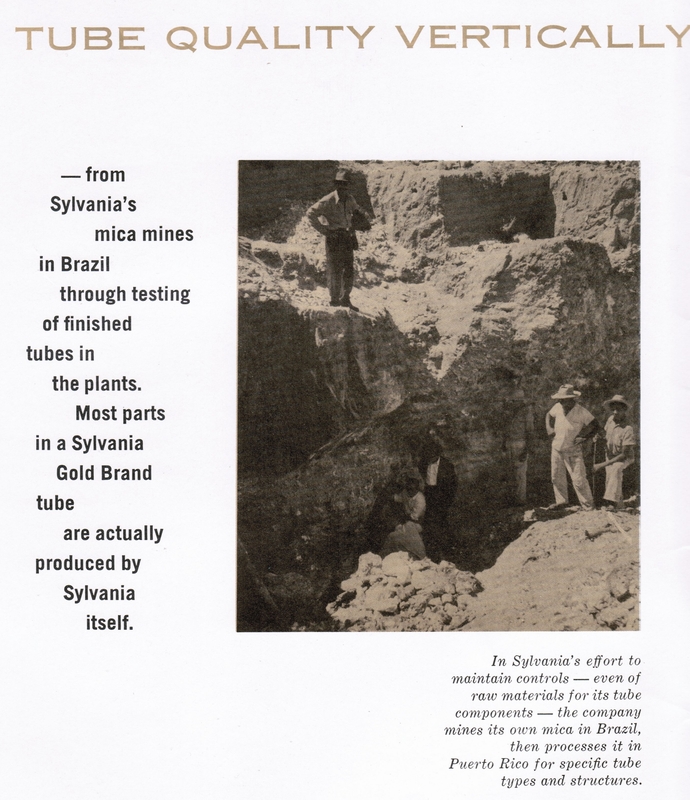 Sylvania Production Line – Tube Crushing Machine. 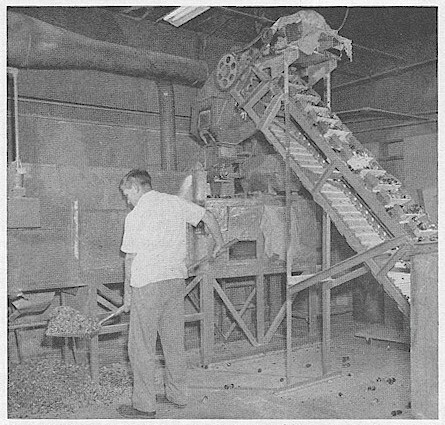 This tube crushing machine prevented any seconds from falling into dishonest hands!